Deposit:$5,000 with agreement, Balance of 5% in 30 days, 5% in 180 days, 5% in 270 days, 5% payable on Occupancy. 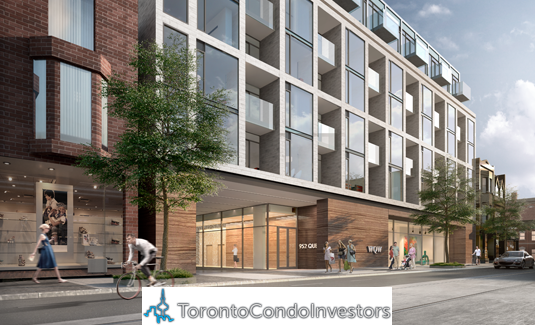 West Queen West Condos (WQW) is a new low-rise condominium loft project by Urbancorp. 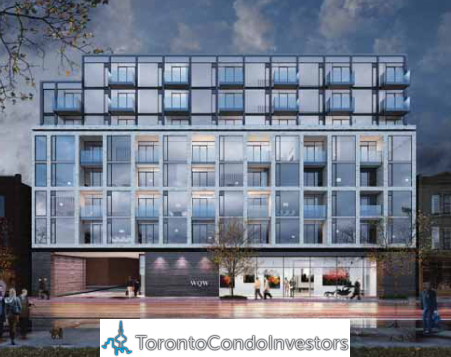 Prices for this 8 storey 133 unit development will be starting from $232,900 to $579,900 The project will be in the heart of Queen West’s thriving arts and culture district. WQW is estimated to be completed in 2017 and will be located on 944 Queen Street West in Toronto.